Etisalat is blazing on super speed internet with this new QueenCee V8 VPN cheat. I know some of you guys will be worried to browse for free using the fastest browsing network in Nigeria 'Etisalat' 'aka Etibaba'. Etisalat is blazing on super speed internet with this new QueenCee V8 VPN cheat. I know some of you guys will be worried to browse for free using the fastest browsing network in Nigeria 'Etisalat' 'aka Etibaba'. So I'm happy to introduce to you this latest etisalat naija free browsing using Queencee Vpn V8. But sadly it not good as in you can't bypass the 60MB data limit. We are working on other proxies for you guys. So for the mean time just use this one dey pass maga. 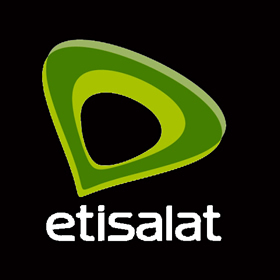 To enjoy the free browsing, simply use the Etisalat default APN for your phone setting, i.e., APN should be etisalat and leave both username and password empty. Now tap on the Start button, wait for few seconds for it to Connect. Then, after it's connected, start browsing for free. You will have to wait, so chill before it will connect. You're now set to start surfing!